I finally reached 300 followers today and I am absolutely ecstatic so thankyou so much to everyone who follows my blog, both old and new. 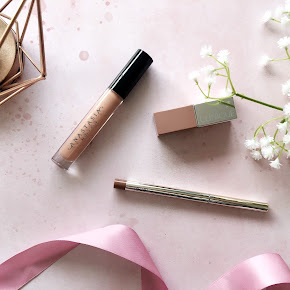 If you're new to my blog every month as well as monthly favourites I also show you the current beauty products that are on my wishlist at the moment. 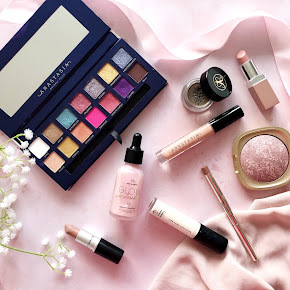 Take a look at last months Beauty Wishlist here if you wanna have a read through the things I added to my wishlist in April. Over the last few months I have managed to purchase a few of those that are on my wishlist and I still have soo many things that I want to buy so here we go ladies! 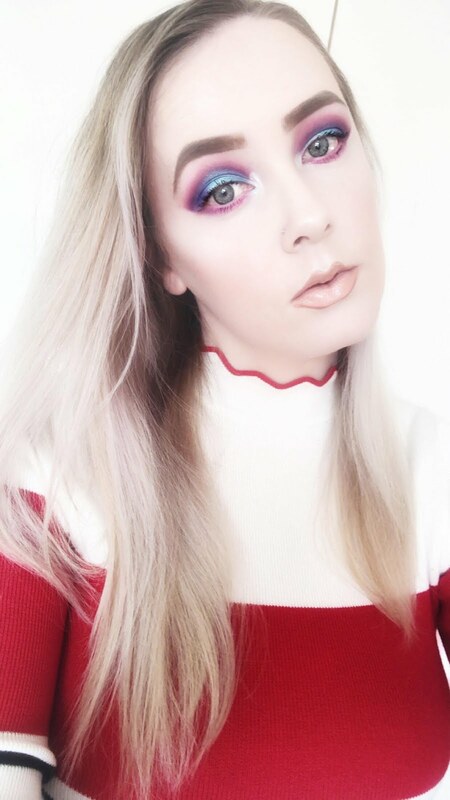 This wouldn't be a beauty wishlist without MAC now would it? I have been lusting over the MAC Prep and Prime pen for a while after seeing it appear on multiple blogs over the last few weeks. There are 3 different shades but 2 of them are waaay too dark for my skintone but the shade 'radiant rose' looks perfect for my pale skin. I want this sooo badly! 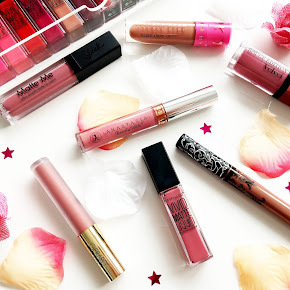 Another hyped up product in the blogosphere, typical Lauren. I can't help but go along with the hype on this as it has so many positive reviews. I swear I haven't seen a single negative one. I am trying out new cleansers lately to find one that works great for my skin and this cleanser is the next one on my list to buy and try out. How do you Hoola girls? haha. I find it soo difficult finding a bronzer that works with my dull, pale skin. They always seem to make my face look orange and muddy, not a great look right? 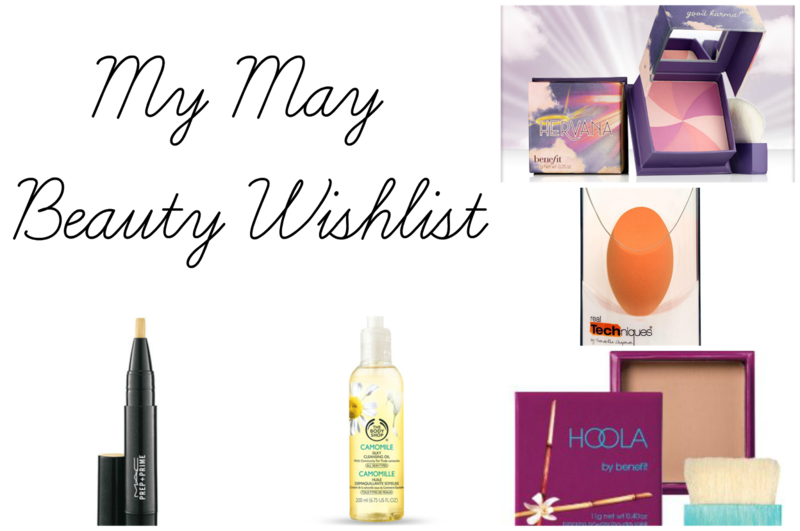 I have been researching the Benefit Hoola for a while and it seems to work well for some ladies with pale skin. A reasonable purchase? I am getting fed up with blending my foundation in with my fingers or RT expert face brush and I really want to try something new like the RT Miracle Complexion Sponge. I've read a few positives about it and it seems to blend foundation into the skin well. I'm always after a flawless finish so maybe this is the way forward for me. A blogger inspired purchase by llymlrs I must admit! Why does Lily always make me want to purchase everything? Damn it! I'm sure some of you feel girls like this too. Benefit Hervana is a pinky/peach blush which doesn't look 'too much' on the face. What will my next Benefit purchase be? The Hoola or Hervana? What do you guys think?